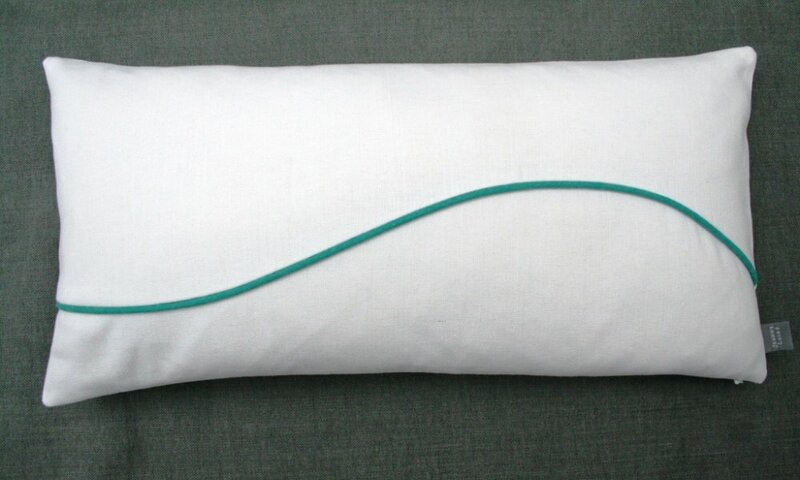 30cm by 60cm cushion in white cotton/linen with piped line in ocean. 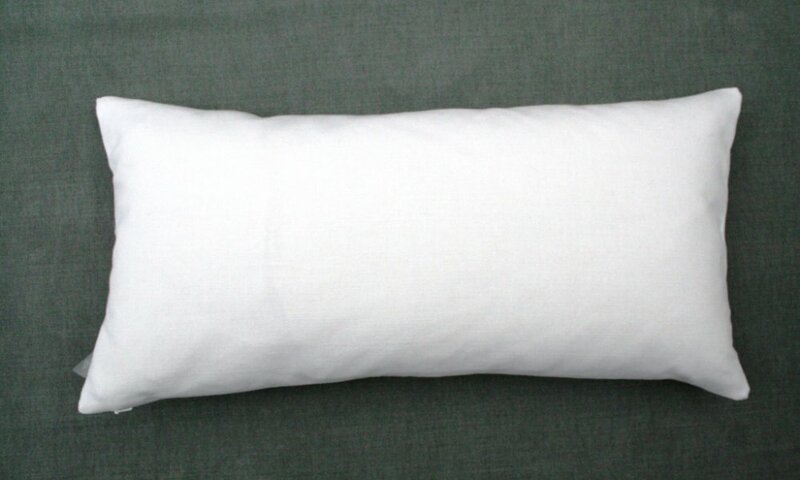 Cushion back is in white with concealed zip, feather pad and brand label. Dry clean only.